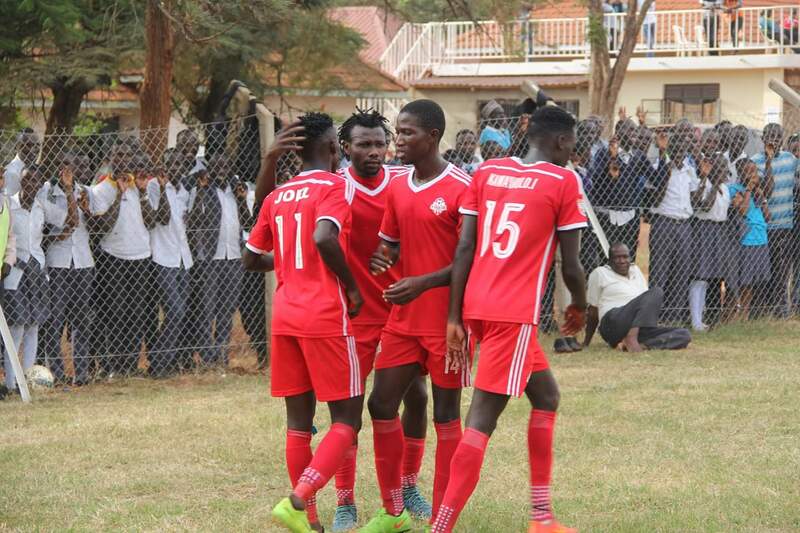 JINJA – After going five games without a win against Bright Stars, Kirinya finally got one better of the Stars, defeating them 2-1 on Tuesday afternoon. Joel Madondo and Isa Kiwawulo scored the goals for Abby Kikomeko’s side who have now won four of their last five League games. In the game played at the Mighty Arena, Methodius Jungu pulled a goal back for the visitors who had earlier in the game had a player sent off. Both sides started the game cautiously and had to wait until 4 minutes to halftime for a breakthrough. And it was no surprise as Joel Madondo who has been one of the standout performers this season, came up with the goal which saw Kirinya take a 1-0 lead at the break. A minute to the hour mark, Kirinya doubled their advantage through Kiwawulo to ensure a comfortable last few minutes for the home side. Bright Stars’ hopes of getting anything from the game looked to have been shuttered when Juma Ssebaduka was shown a straight Red Card on 75 minutes. However, Kirinya looked to have gotten so comfortable as they let one slip in at the other end as Jungu scored with three minutes from time to set a nervy ending. Despite Bright Stars’ efforts to steal a point, Kirinya stood firm and saw out the 2-1 win, their fourth in five games. The win is Kirinya’s first over Bright Stars in their six top-flight meetings. In the first five encounter between the two sides, the Stars had managed three victories and two draws. Kikomeko’s side remain 8th on the log with 36 points from 25 games. For Bright Stars, they drop into 11th on the standings having gathered 31 points with only 5 games to go in the season.